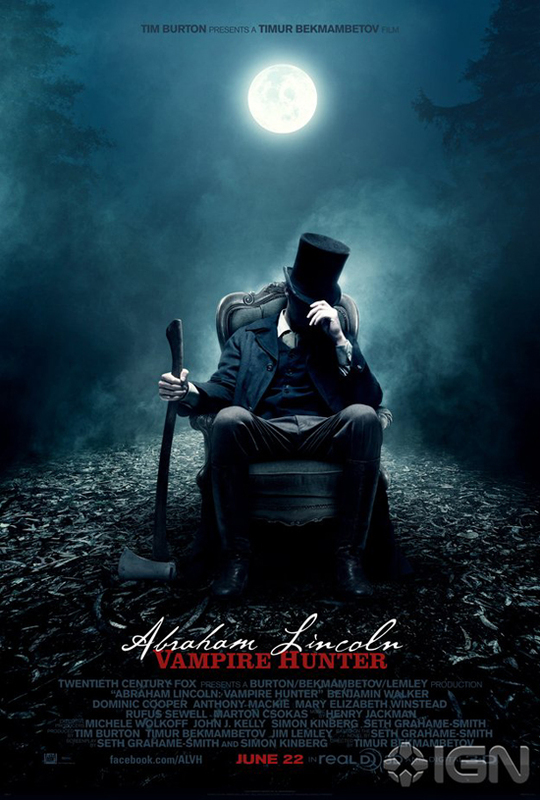 20th Century Fox Debut 2 Posters for 'ABRAHAM LINCOLN: VAMPIRE HUNTER'! 20th Century Fox have released the first two posters for their upcoming big screen adaptation of Seth Grahame-Smith's alternate-history horror about the sixteenth President of the United States. Timur Bekmambetov directs. The plot revolves around the president's quest to rid the world of vampires, presented as the real conflict behind the Civil War. Co-produced by Bekmambetov with Tim Burton & Jim Lemley. The film stars Benjamin Walker as the re-imagined 16th President, Mary Elizabeth Winstead as Mary Todd Lincoln, Anthony Mackie as Will, Alan Tudyk as Stephen A. Douglas, Jimmi Simpson as Lincoln’s right hand man & Dominic Cooper as Lincoln’s vampire-slaying mentor Henry. Abraham Lincoln: Vampire Hunter hits theaters June 22nd 2012. Hit the jump to check out the second poster. 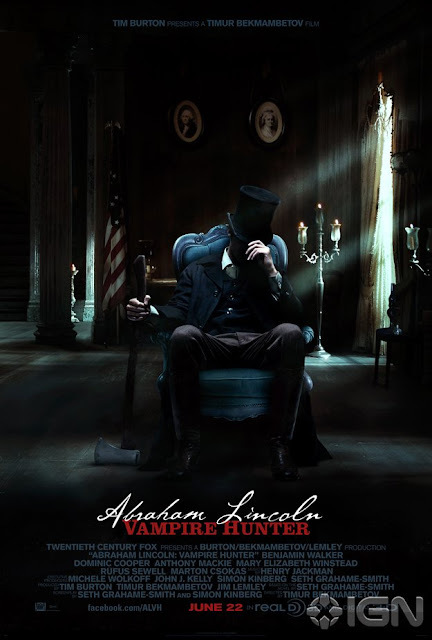 Synopsis: "Abraham Lincoln: Vampire Hunter explores the secret life of our greatest President, and the untold story that shaped our nation. Visionary filmmakers Tim Burton and Timur Bekmambetov (director of Wanted) bring a fresh and visceral voice to the blood-thirsty lore of the vampire, imagining Lincoln as history's greatest hunter of the undead." I'm reading: 20th Century Fox Debut 2 Posters for 'ABRAHAM LINCOLN: VAMPIRE HUNTER'!Tweet this!